With Zapier, you can connect your web apps so they can share data with each other - including CRMs, Email apps, Chat platforms, and so on. You can automate a whole bunch of your online processes. No coding required, just Zap your tools together! Never spend time with manual data entry. Create a consistent lead flow from your website into your favorite sales tool through Zapier. You can connect more than 1000+ apps with Leadberry through Zapier - you name it! This guide assumes you already have a Zapier account, otherwise create a new Zapier account. After signing in to Zapier, click on the “Make a Zap” button. In Zapier you need to connect Leadberry in order to get your leads transferred to your preferred 3rd party sales tool. Search for Leadberry within the Trigger Apps. This Trigger will fire off every time a New Lead shows up in Leadberry. Chose “New Lead” and hit Continue. 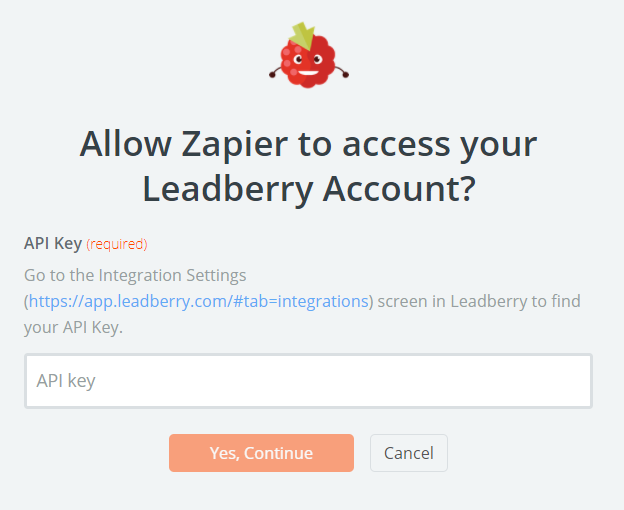 When you click “Connect an Account” a popup window will ask for your Leadberry API Key. Click on “Zapier” in Leadberry/Settings/Integrations. There you’ll find the “Get API key” button. Just click on it, and there you have your Leadberry API key. Copy-paste the API key from Leadberry to the popup box from Zapier. This list will show all the Google Analytics views (a.k.a. websites) you connected to Leadberry. Choose the one you want to use in your automation. You can connect your CRM or you can setup an email campaign directly. That’s it! Now your Leadberry account is connected to Zapier so you can use your leads to trigger automatic action. For example, you can use Woodpecker to send out emails automatically. Sign up for Leadberry today. 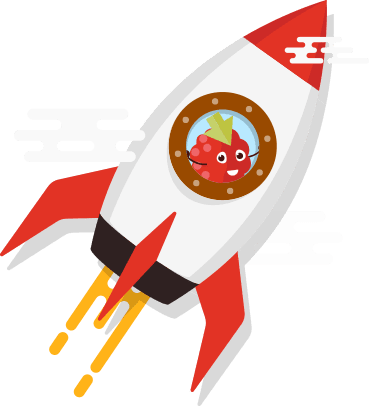 We've made it fast and easy to experience Leadberry. Start with a 14-day free trial account - register and connect to Google Analytics in a matter of seconds. - Sign up in 30 seconds. - No credit card required. 99.99% uptime the last 6 months. Cancel any time, no questions asked. Copyright © 2019 Brandlift, Inc. All rights reserved.